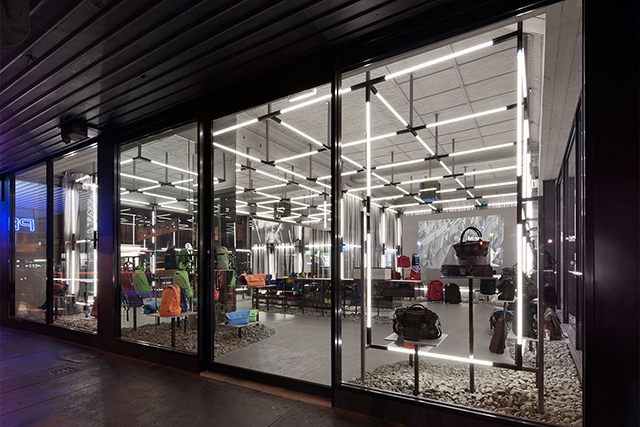 When Crumpler’s Creative Director, Sam Davy set out to shape the bag company’s 12th Australian store, he was bound and determined to build an interactive space and unique consumer experience that reflects both the local environment and creative path of the brand’s original design ethos. 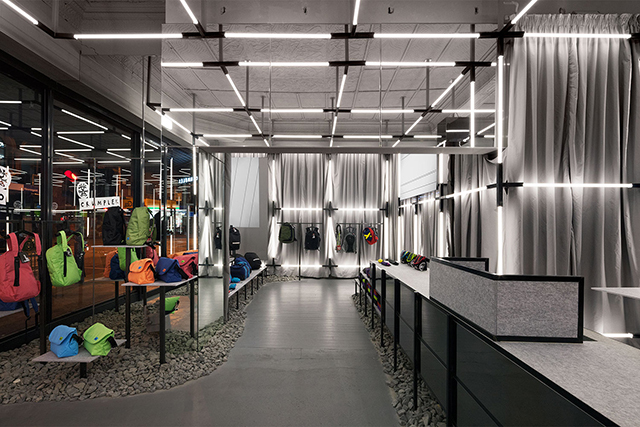 Crumpler partnered up with local creative and award-winning architect Ryan Russell, of Russell & George, to cultivate this vision for their new retail space in Prahran, on the south side of Melbourne.. 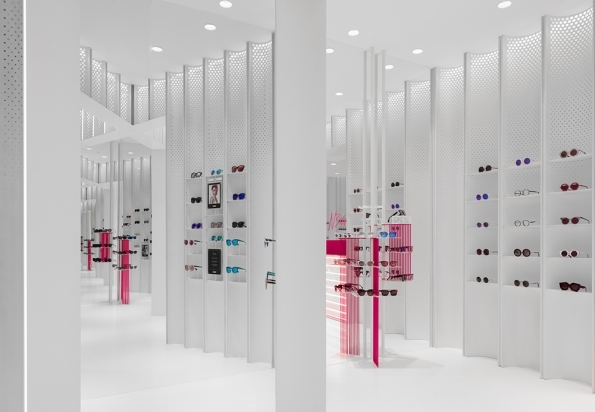 The design of the store is based on the abstraction of a pixel. A space that merges lighting and different media to create a fractured urban landscape of light and moving images. 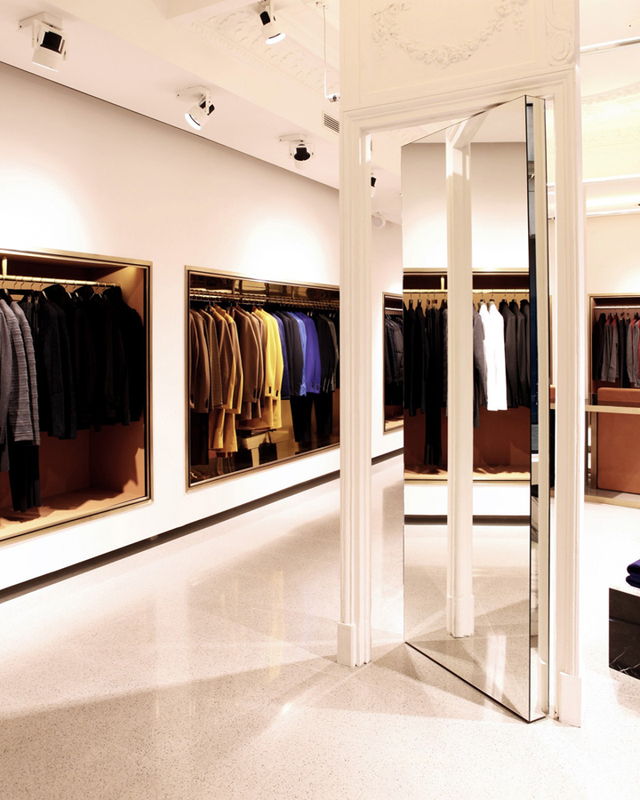 Russell and Davy worked closely to design a dynamic space that frames and illuminates the products. 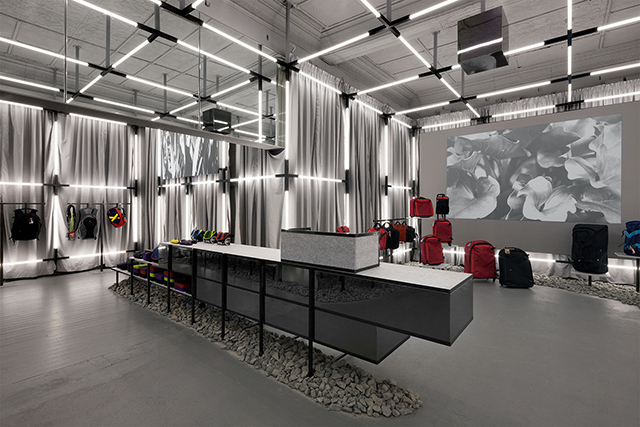 Beyond the lightsaber grid, monochromatic finishes, and grey rocks piled along the floors – Russell made sure that Crumpler’s colorfully crafted goods would rightfully remain the center of attention.